You are here: Home / MISCELLANEOUS / DO YOU KNOW WHY WE CELEBRATE PRESIDENT’S DAY, HOW IT HAPPENED OR WHO INVENTED IT? DO YOU KNOW WHY WE CELEBRATE PRESIDENT’S DAY, HOW IT HAPPENED OR WHO INVENTED IT? 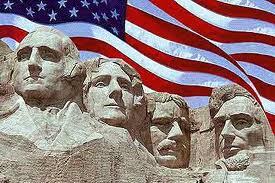 Happy President’s Day: Do You Know Why We Celebrate President’s Day, How it Happened or Who Invented It? The observance of Washington’s Birthday began as an act of Congress in 1879. However, it was simply a holiday celebrated in Washington D.C. Then, in 1885 President Chester Allen Arthur signed off on the bill that implemented the federal holiday. This was the country’s first federal holiday that honored an American citizen, and thus the date chosen was of the great hero, warrior and president, Mr. George Washington. According to the Julian calendar that was in effect during Washington’s life time meant back then his birthday was February 11, 1732. However, in 1752 the Gregorian calendar was adopted and translated Washington’s Birthday into February 22nd and was celebrated that very day. Furthermore, in 1951, the President’s Day National Committee was formed and they tried to create President’s Day as a day that honored Presidents on March 4th. Please keep in mind that back then Washington’s birthday was celebrated the third Monday, Lincoln’s birthday was celebrated on February 12th and so three back to back holidays would be too much of a burden. Unfortunately, the Governors of a majority of the individual states issued proclamations declaring March 4 to be Presidents’ Day in their respective jurisdictions. In 1968, the Uniform Monday Holiday Act was created. What they did was took Washington’s Day, Memorial Day, Veteran’s Day and additionally would include Columbus Day which went from fixed calendar days to designated Mondays, so federal employees could enjoy three day weekends. This act took effect in 1971, making Washington’s Birthday to be celebrated the third Monday of every February. Later, there was legislation enacted that established the observance of Veteran’s Day would be on November 11th. 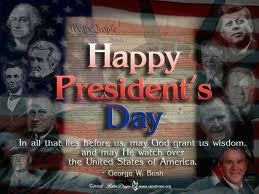 By the mid-1980s, with a push from advertisers, the term “Presidents’ Day” began its public debut. Keep in mind, Lincoln’s birthday was never a federal holiday, so a dozen state governments officially renamed their Washington’s Birthday observances as “Presidents’ Day”, “Washington and Lincoln Day“, or other such designations. However, “Presidents’ Day” is not always an all-inclusive term. In Massachusetts, the state officially celebrates “Washington’s Birthday” on the same day as the Federal holiday. State law also directs the governor to issue an annual “Presidents Day” proclamation on May 29 honoring the presidents with Massachusetts roots: John Adams, John Quincy Adams, Calvin Coolidge, and John F. Kennedy. Alabama calls it “Washington and Jefferson Day,” even though Thomas Jefferson’s birthday is in April. In Connecticut, Missouri and Illinois, while Washington’s Birthday is the federal holiday, Abraham Lincoln’s birthday is still a state holiday, and thus falls on February 12 regardless of what day of the week it is. Moreover, there is a mid-winter long weekend that six Canadian provinces instituted as a holiday which coincides with Washington’s Birthday: In Alberta, British Columbia, Saskatchewan and Ontario, it is Family Day; in Manitoba, Louis Riel Day; and Prince Edward Island it is Islander Day. The holidays do not honor anniversaries, and the date was selected, in part, to coincide with the U.S. holiday, since the economic and social lives of both countries are tightly intertwined. « WHO IS THE HISPANIC ON CELEBRITY APPRENTICE?